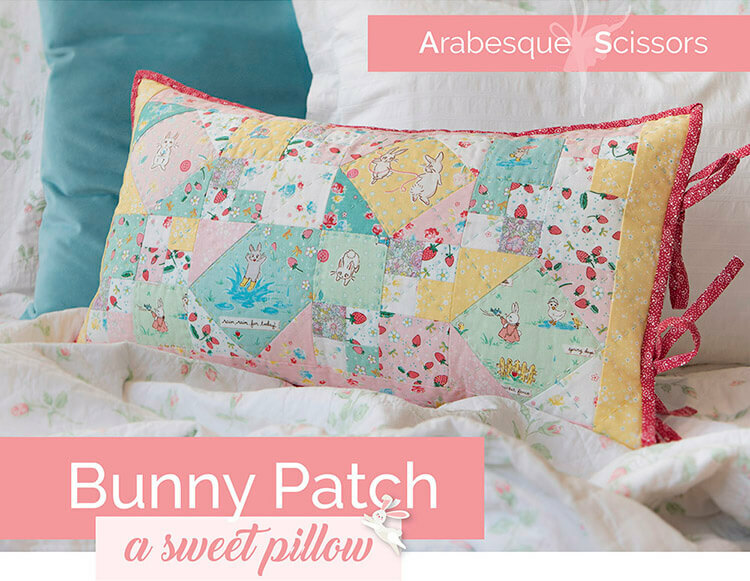 Last week when she asked me if I would test a pattern that she had written for her Bunny Patch Pillow, I didn't even hesitate. I've tested a couple patterns for Ali before and I love them. Her patterns are so amazing with beautiful color illustrations and photographs. See how beautiful that first page is? It just makes it so enjoyable to sew from her patterns. I dug through my fabric stash and chose a fabric line called Bonbon Bebe by Robyn Randolph. I had purchased this fabric a couple years ago and made a baby quilt for a special baby girl. (You can read that post here!) So I was excited to pull this fabric out again and turn it into a darling pillow (which I will mail to the now 2 year old baby girl!). This pattern is so fun for some fussy cutting and I was able to use these sweet flower scenes and I love how it looks. I've never been the most particular seamstress at matching corners but this pattern really made it easy. I love how quickly and how easily this pillow went together. 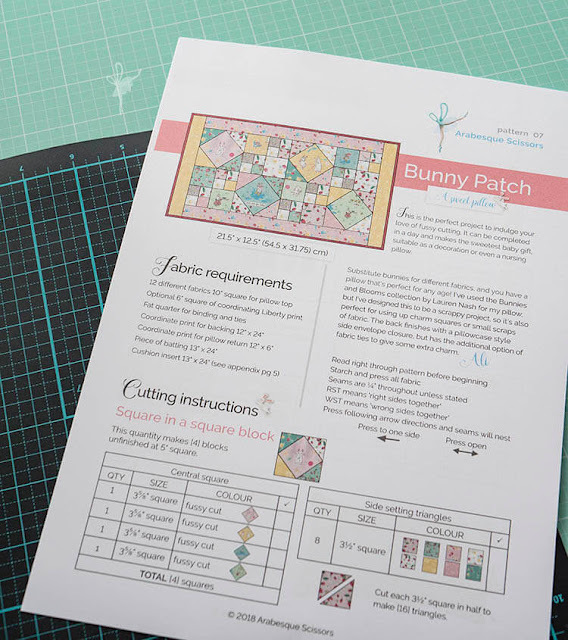 Ali's pattern instructions are so clear and concise that it is just so easy to follow. One thing I really love are the tie closures. These are optional, but I would not recommend leaving them off because they are SO SWEET! I love how they just complete the look. Another thing I really loved was the inner flap on the pillow and the way that the pillow backing tied in. It is such a well thought out design that just finishes the pillow off so beautifully. P.S. Make sure you visit Ali's blog here. Her beautiful sewing and photography, plus her amazing patterns and tutorials will inspire you! What a darling pillow! It just looks like spring! This sweet pillow is just the project I have been looking for! Thanks for this post and your cheery, pretty, perfect example. What a sweet pillow. You have a brilliant eye for combining colors and patterns. Your 2 year old friend will love the matching pillow.